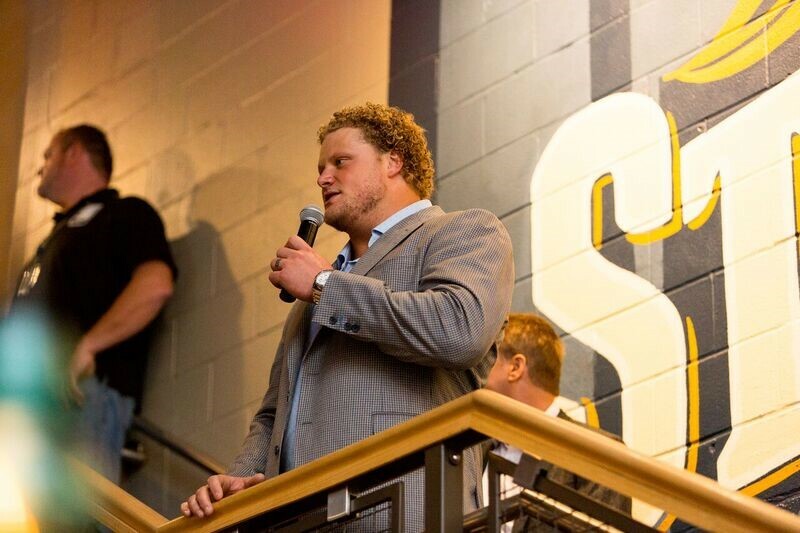 Coming back from a serious broken leg suffered against Seattle, the rehab process proved to be a steady one for Eric Wood. Entering the spring practices there was a plan in place in the event that Wood’s leg developed soreness after pounding on it working on the field. Fortunately for Wood, and Buffalo’s offensive line that didn’t prove to be a problem at all. Buffalo’s offensive line had a lot to hang their hat on last season. Number one in rushing, number one in rushing yards per attempt, among other accolades. But the men up front are in no way content with their performance knowing where the team’s record finished up in 2015. Pro Bowl center Eric Wood confirmed that the team’s offensive linemen are determined to take another step forward in 2016. Wood is hosting his annual ‘Dinner for a Difference’ at the Hyatt downtown. It’s his foundation’s biggest fundraiser of the year. A lot of local celebrities and players will be out waiting tables and it is a fine dining event with a cocktail hour and a bunch of high end live auction items. The event helps to support sick and disabled children in the WNY community and their families. LeSean McCoy was aptly named to the Pro Bowl by his NFL peers as announced on NFL Network last night. He was the only starter named to the league’s all-star game from the Bills. Four other Bills however, were named as Pro Bowl alternates in the event that some starters are unavailable for the game. Two of the four were also largely responsible along with McCoy in giving Buffalo the number one rushing offense in the league. Head coach Rex Ryan announced the team’s four Pro Bowl alternates Wednesday. Woods and Incognito anchored Buffalo’s offensive line this season, and helped vault the offense to the top of the league in rushing. Taylor also had a hand in that statistic as the team’s second-leading rusher behind McCoy with 450 yards on the ground this season. In fact Taylor is 27 yards from breaking the team’s single-season rushing record by a quarterback, set by Doug Flutie. Taylor was also one of the highest-rated quarterbacks in the league all season. He currently stands fifth in the league in quarterback rating with a mark of 101.8 and has a 4:1 touchdown to interception ratio this season. We’ve heard before how quarterbacks take care of their offensive linemen because offensive linemen take care of their quarterback all season. From gold watches to other luxury items, quarterbacks often spring for their teammates. Bills QB Tyrod Taylor decided to go big for his offensive linemen this season. 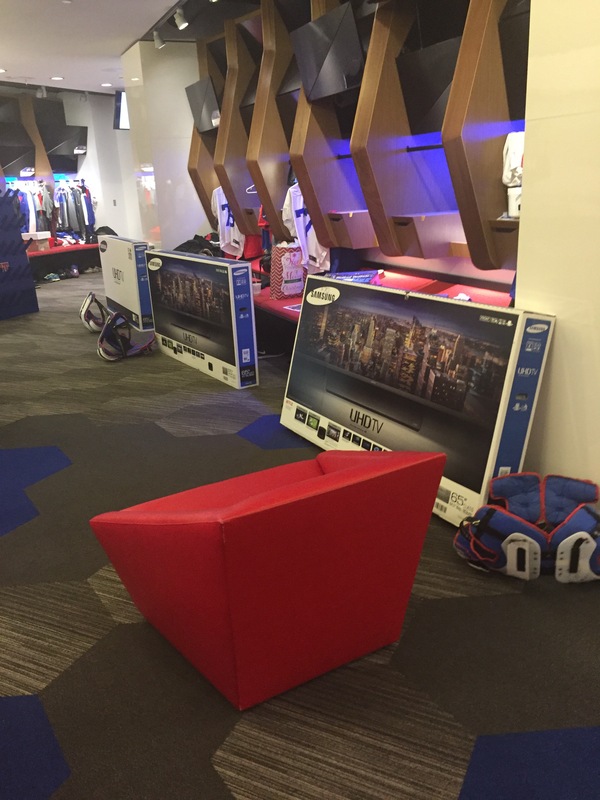 Taylor bought each of his offensive linemen a brand new 65-inch flat screen TV, which was waiting by each of their lockers on Tuesday morning. It’s one of the biggest defensive fronts in the league. Washington’s defensive line and edge pass rushers in their 3-4 scheme are hard to root out and move. So for Buffalo’s offensive line they’ll have to scheme around them knowing that blowing them off the ball is unrealistic. Buffalo’s offensive line will be relying on technique to win the battles up front.